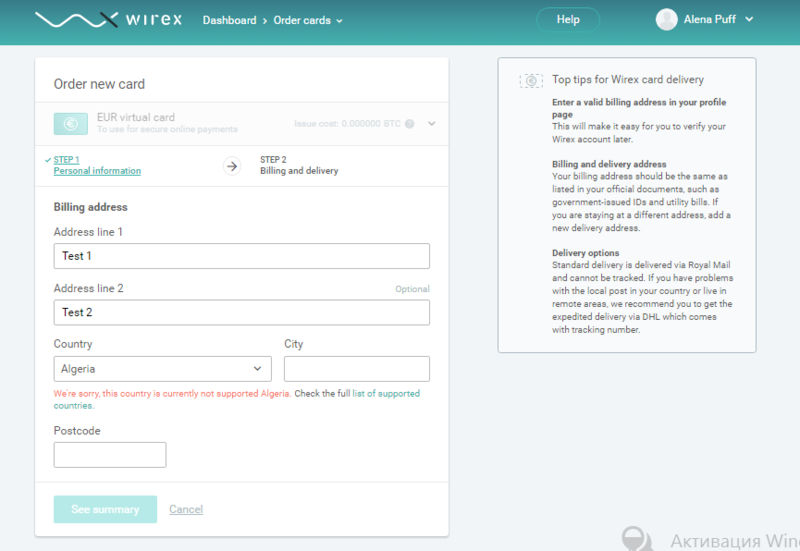 Here is a step-by-step guide on how to get a Wirex card fromWirex platforms (desktop, app). 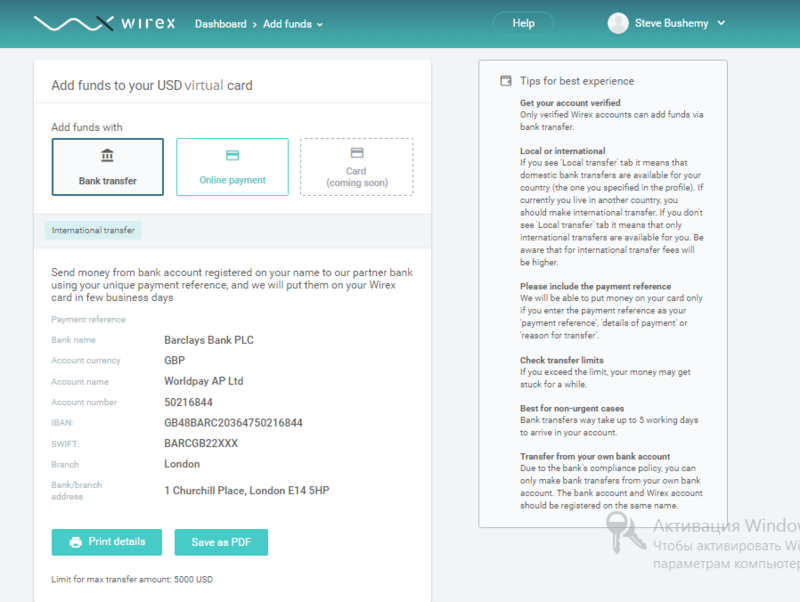 To get a Wirex card, you must have an account. Please follow steps 1 and 2 on how to open an account, or if you already have one, you can jump straight to step 3 to find out how to get a card. Redeem you first card for freefrom Wirexapp.com or Wirex app: Android | iOS. Optional - installWirex app: Android | iOS. For virtual and plastic cards payments - some bitcoins in another walletor funds in an existing Wirex card. 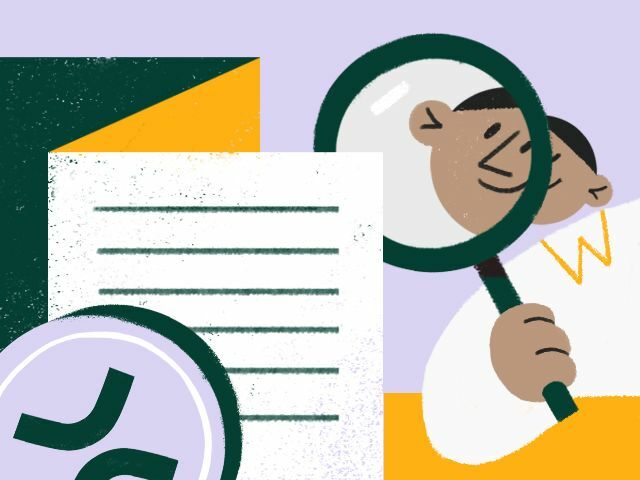 Documents to verify your ID and address (for verification). 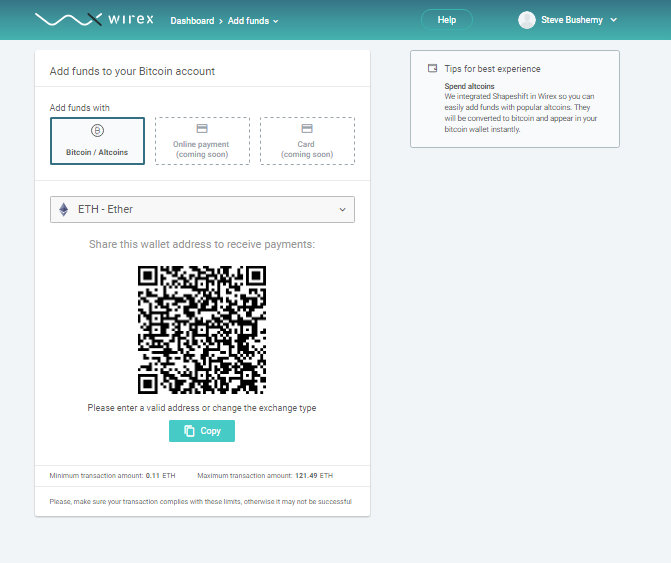 If the sending wallet supports BitGo Instant, you will receive bitcoins in your Wirexaccount within minutes. If not, please allow approximately 30 minutes or more for the Bitcoin network to process the transaction. 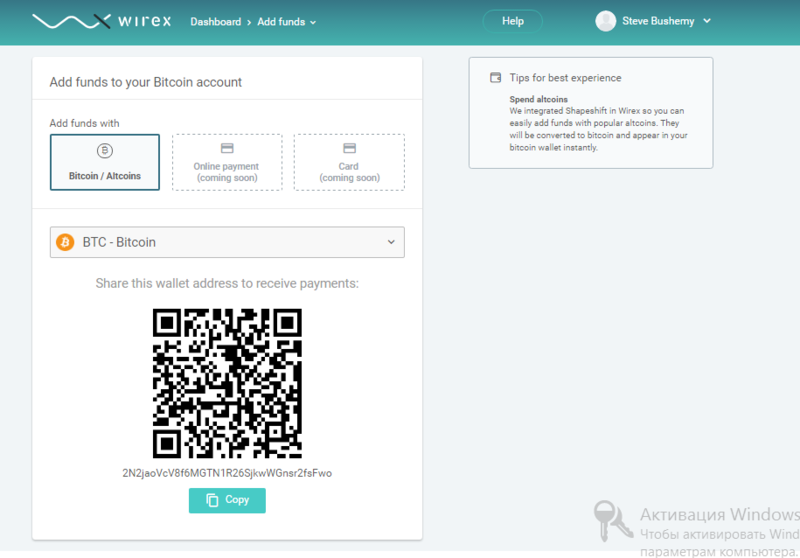 Altcoins will be converted at the best possible rate via Shapeshift and appear as bitcoin in your Wirex bitcoin wallet. Note: You need an existing Wirex card to use this option. 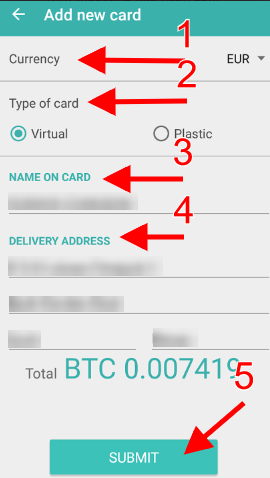 Step 4:Order a new card After you have bitcoins in your account, you can now order new virtual cards and plastic cards! 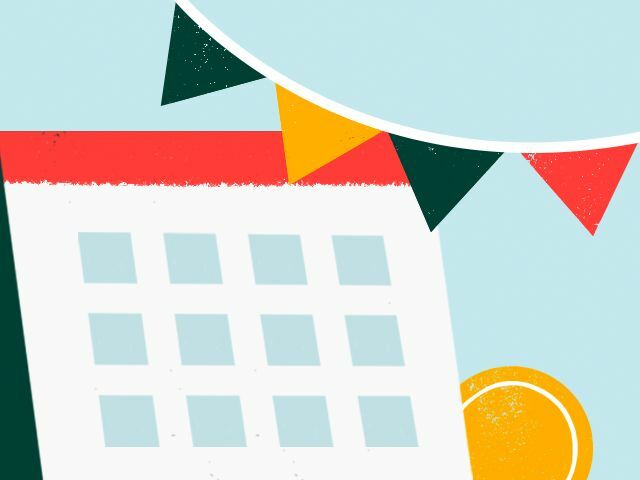 Go to your account dashboard and request a new card.Select the card with your preferred currency (choose between USD, GBP or EUR) and the card type (choose between physical/plastic or virtual). Step 5: Fill in your personal info You can use any residence address to fill up this page good news for travelers! 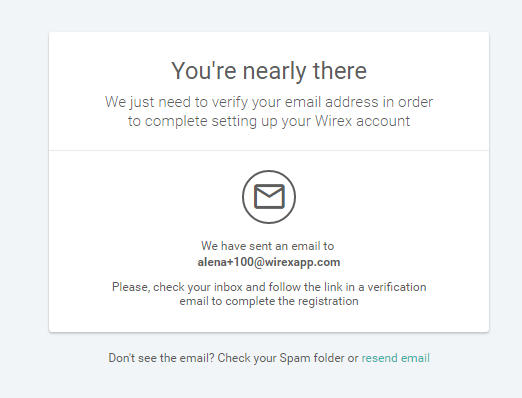 However, if you wish to verify your account later (verified Wirex accounts havehigher limits), please add your official residence address, the one used on your ID, bank documents, bills, etc. Please note that we are unable to deliver plastic cards to some countries. 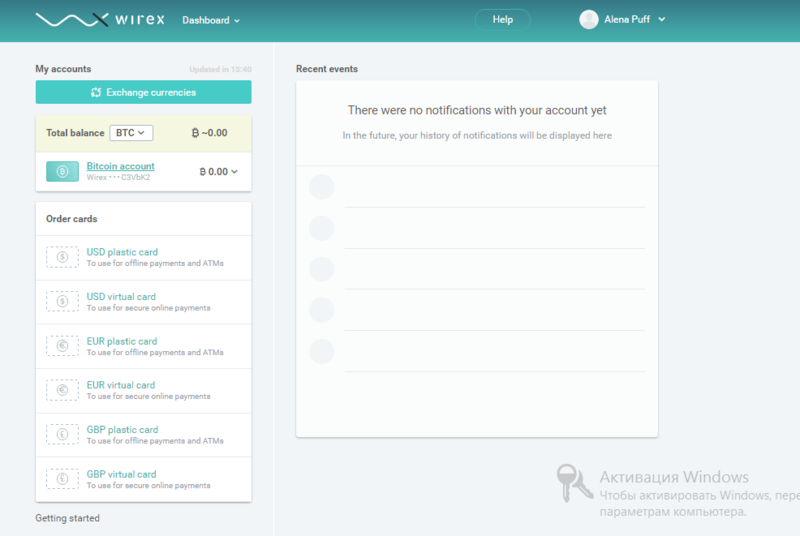 You can check which countries Wirex can deliver to. If your country is not supported, you will see the following error message. 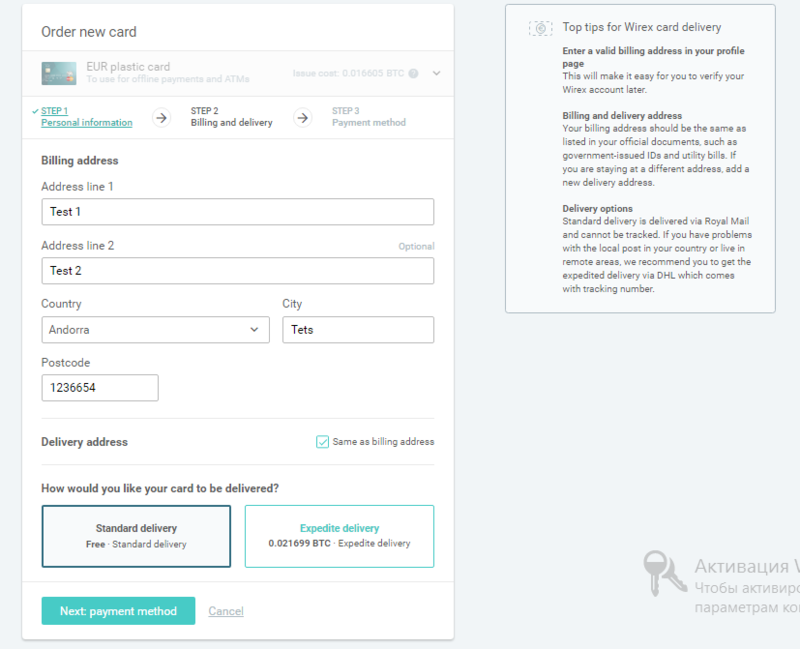 Step 6:Complete the billing and delivery page You can choose between standard or expedited delivery.Depending on where you live, a plastic card may take weeks to arrive. We suggest you get your first virtual card for free first. You can use it while you wait for the (US$17) plastic card to arrive. If you want an expedited card with delivery tracking, this will cost US$50. Step 7: Make payment and you're done! 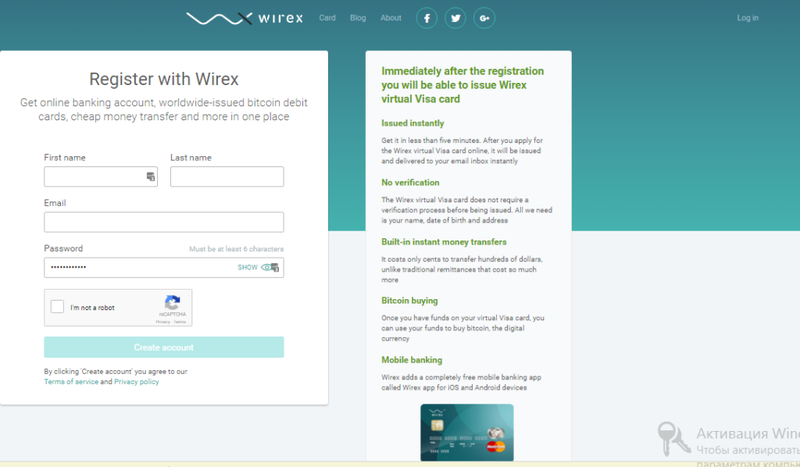 You can make payment from your Wirex bitcoin wallet or from funds in your existing Wirex card. 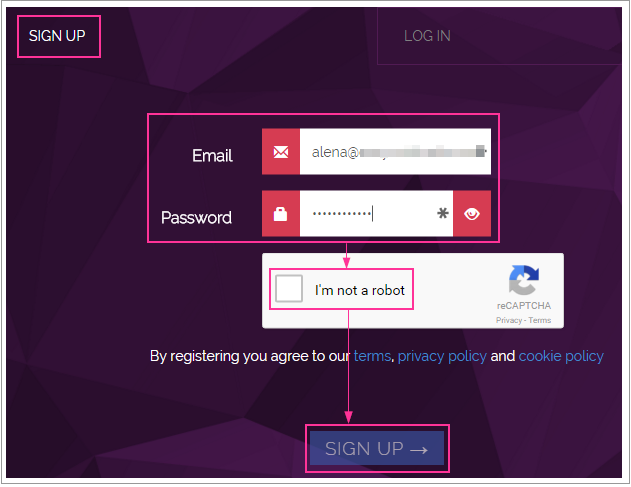 If you selected the virtual card, check your email inbox in a few minutes. You can use it as soon as it arrives. If you selected the plastic card, check here to see how long it will take to arrive. Step 1: Download Wirex app You can download Wirex app from these links: Android | iOS If you don't have an account with Wirex, go ahead and register straight from the app. 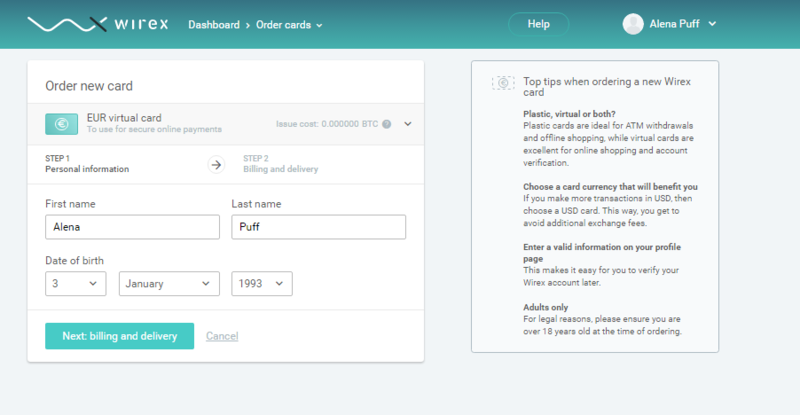 Step 2: Transfer some bitcoin into Wirex account to pay for card The virtual card costs US$3 (first card is free for all new accounts), and the plastic card costs US$17 (including delivery). Dont know which one to get? Read more about which Wirex card is better for you. We suggest you transfer the amount plus a little extra sometimes the bitcoin price fluctuates. 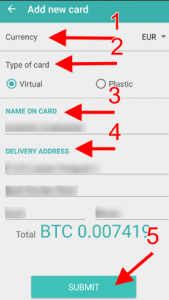 To get your Wirex bitcoin address, generate one by tapping the icon on the lower-right corner. Transfer your bitcoin to this address. Step 3: Go toMain Screen Select your preferred currency - choose between USD, GBP or EUR. Select 'Order new card'. Enter some information - choose the card type (plastic or virtual) and other personal details. Depending on where you live, a plastic card may take weeks to arrive. 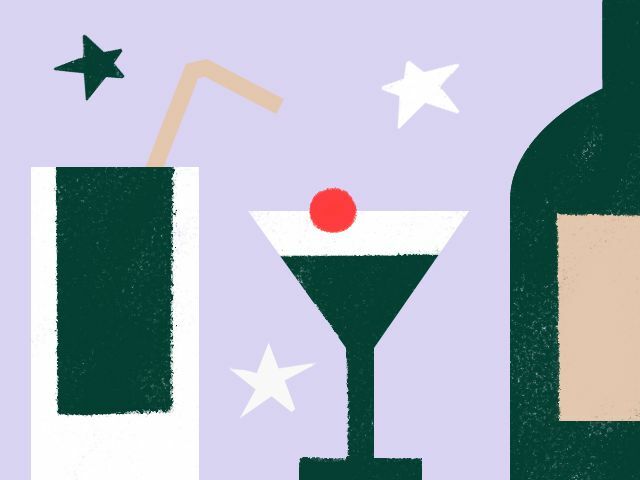 We suggest you get a virtual card first. You can use it while you wait for the (US$17) plastic card to arrive. The card cost is shown to you in bitcoin. youre ready, click on Submit. 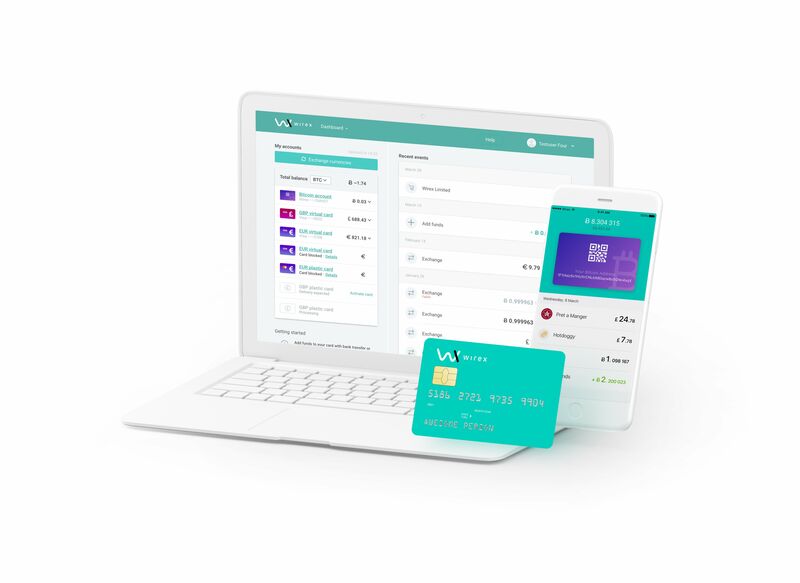 Please read here for a beginners guide to Wirex cards. 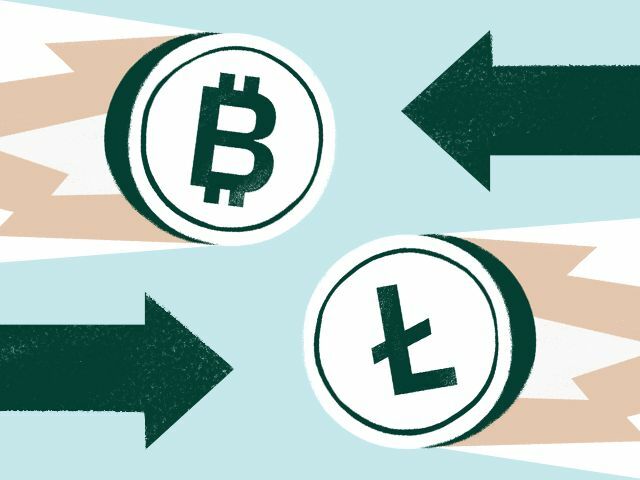 Please read hereto learn how to top up with litecoin, ether, and other major cryptocurrencies. Please read here to learn the differences between our virtual and plastic cards. Please read here for more info about card types and limits. Please read here to find out the 11 advantages of the virtual card. Please read here if you have a business and would like to start accepting bitcoins. Please read here if youd like to earn referrals with the card. Please read here if youd like to learn more about our company. Enjoy your new Wirex card!